Are your tyres looking a bit bald? Or perhaps you’re looking to get better performance out of your tyres. Whatever you need new tyresfor, we can supply it to the good people of Brisbane and beyond. We can offer tyres in a range of styles and at different price points to suit all budgets. We always aim to provide great value for money by offering tyres at discounted rates and by offering interest free finance to make paying for your tyres easier. We can deliver your chosen tyres direct to your door. We deliver all over Australia including Brisbane and the surrounding areas. 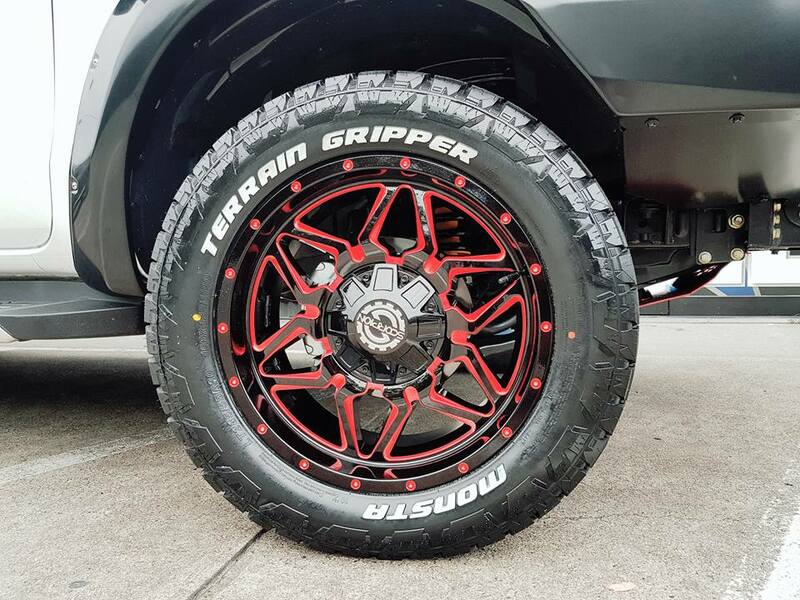 If you order new rims at the same time with one of our great value wheel and tyre packages then we’ll even fit the tyres to your rims so that all you need to do is bolt them on and pump them up to get back on the road. Alternatively you can bring them in to an OzzyTyres branch and we’ll fit them for free. 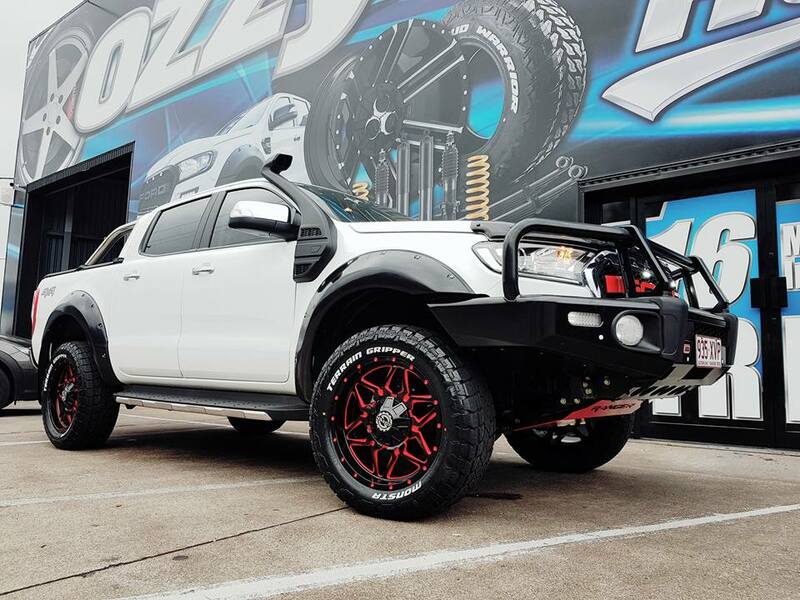 4x4 – 4WD vehicles were our first love at OzzyTyres. We’ve since moved in to providing tyres for all types of vehicle but we still make sure we stock a great range of 4x4 tyres for nearly any model on the market today. Choose from road, all terrain or mud terrain tyres depending on how often you take your 4x4 off road. Low profile tyres – If you drive a sports or performance car, low profile tyres can add that extra edge. Combined with the right sort of lightweight mag wheels and suspension setup, low profile tyres can offer better handling through the corners and be less susceptible to changes in temperature. Tyres for specialist vehicles –If you’ve got a challenge for us, bring it on! We can supply tyres for classic cars, trucks, trailers, busses and even race vehicles. You let us know what you need and we’ll source it. Slick tyres–We can provide slick tyres for race vehicles and for road going vehicles we can provide slick tyres but only up to a point. We can’t have you rolling around on tyres with illegal tread! Styles of tyre–You might not think a tyre adds much style to a vehicle but combined with the right rim, they definitely make a difference. This is especially true on 4x4s where the tyres can add a look of aggression and toughness. Check out our gallery online if you need some inspiration. 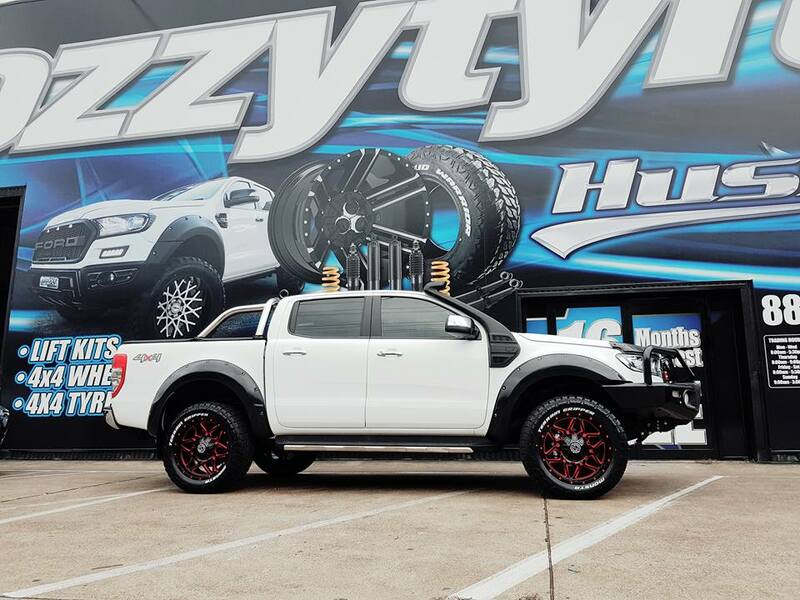 Sometimes tyres alone are enough to complete the look of your vehicle but to give car a little something extra, why not invest in some new rims too? The right combo of mag or alloy wheel and tyre can make a difference to the performance and the look of your car. With that in mind, OzzyTyres offer great wheel and tyre packages to provide fantastic value for money ad great service. Order online or speak to our helpful staff to find the combination that works best for your vehicle and we’ll send them out to your door using our vast distribution network. If you’ve had a few bits to pay for lately and your wallet is feeling the strain, OzzyTyres can offer interest free finance in partnership with zipMoney. Pay for your tyres over a 24 month period from as little as $40 per month (monthly repayments increase as the value of your purchase goes up). We promise to beat the price of any other supplier. Just show us the same wheel and the proof that you’ve found it cheaper and we’ll match or beat that price. It’s that simple. How can we make that promise? Well, we have some great relationships with tyre manufacturers which gives us great buying power. We can then pass those savings on to you.